Last month my Jazzy turned 2. I’ve been joking that she had been acting like a twonager way before that. So far it has been…interesting? This stage in a child’s life doesn’t last forever, so I’m happy to celebrate it while it lasts. Being officially two also means she’s outgrown her infant car seat. As we have watched her grow, we have been looking to transition her into a convertible car seat. 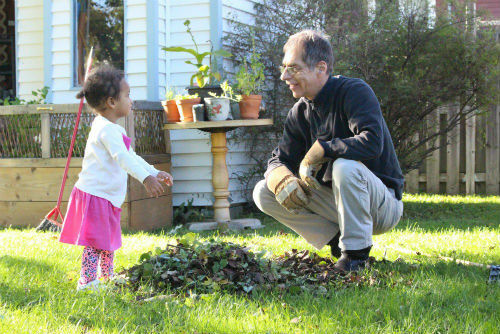 From her undying obsession with the Paw Patrols to figuring out that leaves are fun to play with, watching Jazzy reach so many milestones has been a joy. She’s so curious and always ready for an adventure (even when it’s right in her backyard). She is such a bright and happy child. I couldn’t ask for more. When we go on car rides, my priority is to make sure she is safe. The diono radian rXT gives me peace of mind. 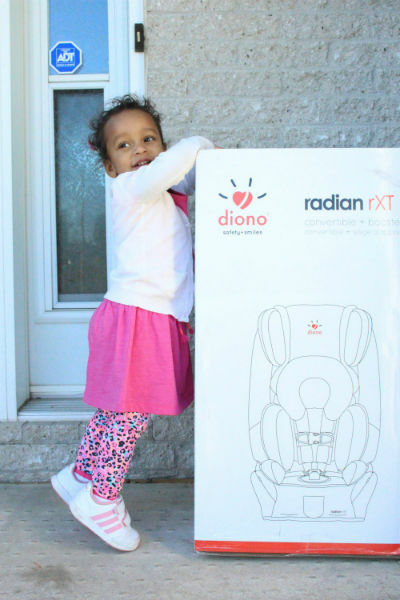 I was recently sent the new diono radian rXT to review on the blog. This came at the perfect time because Jazzy is too big for her infant car seat. 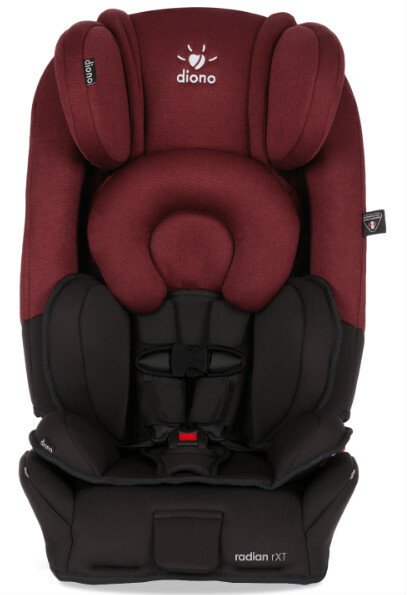 The radian rXT comfortably seats rear-facing children from 2.3 – 20.5 kg (5 – 45 lbs), forward-facing children from 10 – 29.5 kg (22 – 65 lbs) and up to 144cm (57″) in a 5-point harness, then converts to a booster for children between 23 – 54 kg (50 – 120 lbs)*. 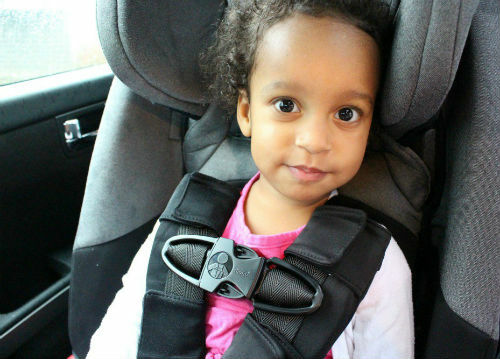 Having a car seat that is big enough for her is so important, but it’s even more critical to ensure that the car seat is installed correctly. This is not the time to opt out of reading the user manual. 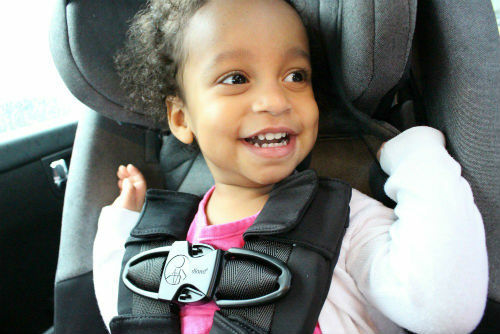 After going through the manual with uncle Rene, we finally installed her new convertible car seat. Uncle Rene is making sure the UAS latches are fastened, and the installation is tight. If you are not 110% sure that your car seat is installed correctly, I highly suggest making an appointment to a car seat clinic in your area. 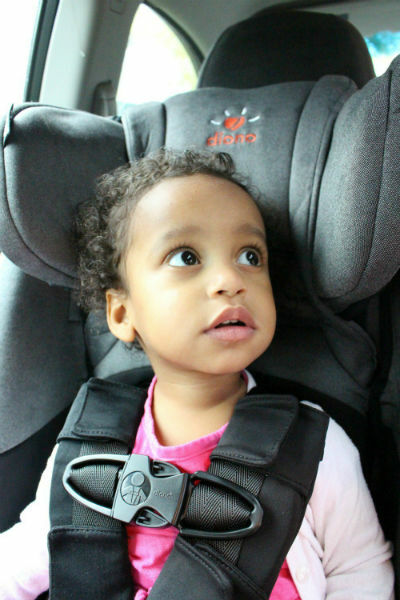 The diono radian rXT is made of premium materials and thoughtful safety features. It can seat 3-across in most mid-size vehicles. 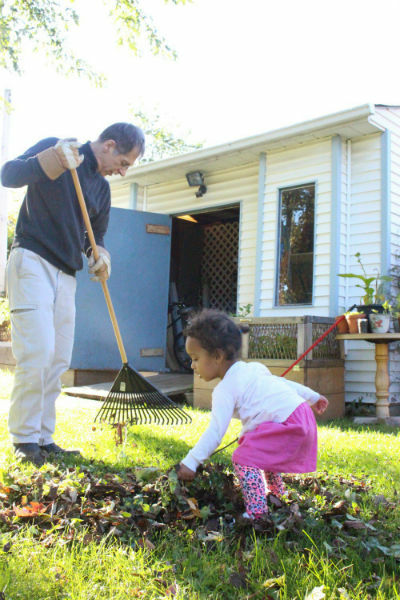 Which is perfect when you have more than one child. 12-position adjustable headrest, 5 shoulder, and 3 buckle positions deliver a comfortable ride. The new diono radian rXT can be purchased online. You can also use their store locator to find a store near you. I can’t wait to see what other milestones Jazzy will reach in the next few months. 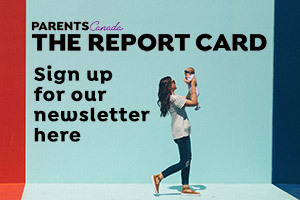 Are you looking to transition your child to a convertible car seat? Connect with diono on Facebook and Instagram to stay updated with news and products release.